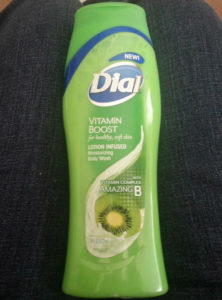 Two weeks ago, I got sent a bottle of the new Dial Vitamin Boost Body Wash w/ Amazing B. Vitamin Boost Body Wash gives your skin a daily boost of vitamins, leaving it healthy and soft. I love trying out new body washes, especially any which help moisturize skin. I do have sensitive skin; however I usually don’t have anywhere near as much trouble with body washes as I do facial cleansers. There are a few body washes I use on a regular basis, but they don’t really make my skin soft. 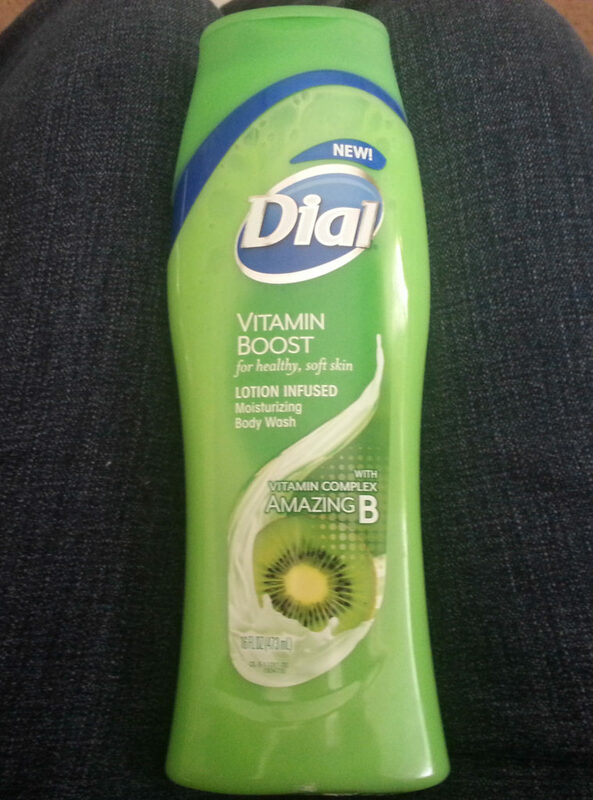 The body wash has a light kiwi scent and makes a nice, rich lather. 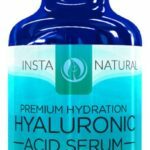 After using the Vitamin Boost the first time, I noticed that my skin felt a little softer. After using it for a little over a week, my skin feels very soft and the tone is a lot better. I don’t have to moisturize my elbow anymore where the skin gets dry, and the skin around the surgery scars on my knee isn’t drying out anywhere near as much now. Overall, I really like the body wash. It’s improved my skin overall, and I really like the smell. It’s available in most stores in the Health & Beauty department. There is also a Vitamin Boost w/ Super C that nourishes your skin, as well as matching hand soaps for both types. You can get more info about Vitamin Boost and other products available at the Dial website. 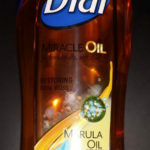 I received the above mentioned product for free from Dial to help facilitate my review. 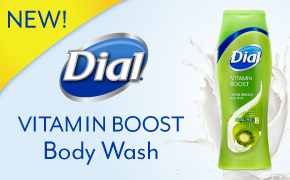 Dial wants to give two lucky readers their own bottle of Vitamin Boost (rewarded as a manufactures coupon). To enter, tell me what you think about the body wash in a comment below. Once you do that, you can complete the extra offers on the Rafflecopter form. The giveaway is open to US residents only and ends March 30 @ midnight CST. Disclamer: This giveaway is in no way related/sponsored/endorsed by Facebook or Twitter. Winners will be chosen at random and have 48 hours to respond or a new one will be picked. Only one entrant per mailing address per giveaway. Winners are subject to eligibility verification. Failure to complete the mandatory entry in full will result in disqualification. The prize will be shipped directly to the winnesr by Misadvmom.com. Misadvmom.com is not responsible prize getting lost or damaged during shipping. Last updated by Angela Rogers at March 31, 2014 . This body wash sounds like a great way to moisturize in the winter. I’m excited to try a body wash with vitamins in it for my skin.